Rosenkreuzstilette Article 4: Make a backup copy, and only mess with the backup copy. Keep the original in a safe place and only screw with the copy. Go get the Rosenkreuzstilette Data Archive Decoder. 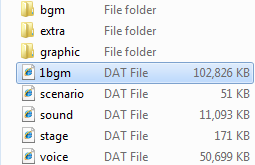 Decode the "enemey.dat" and "scenario.dat" files. And then delete those two .dat files. The game will run fairly decent on just the regular folders. Or just simply rename the .dat files. Let's do something simple to start out. There are several issues to contend with. First is size. 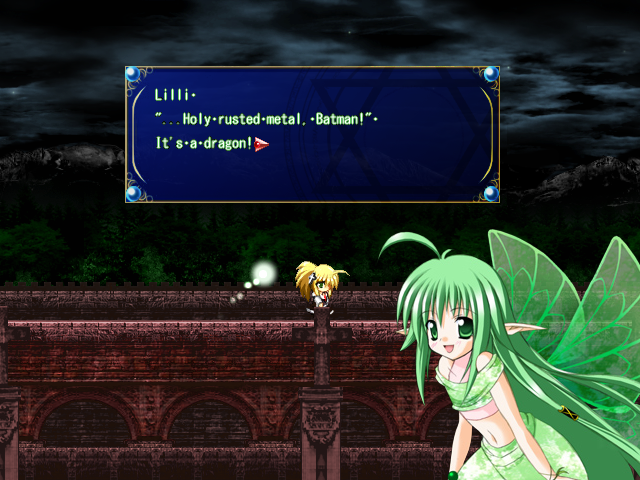 The sprites in Rosenkreuzstilette are pretty big compared to the ones from Megaman 7 (SNES) that I choose. I have seen many a comic and flash video not even care about the size differential. However it is important. Third: Positioning. 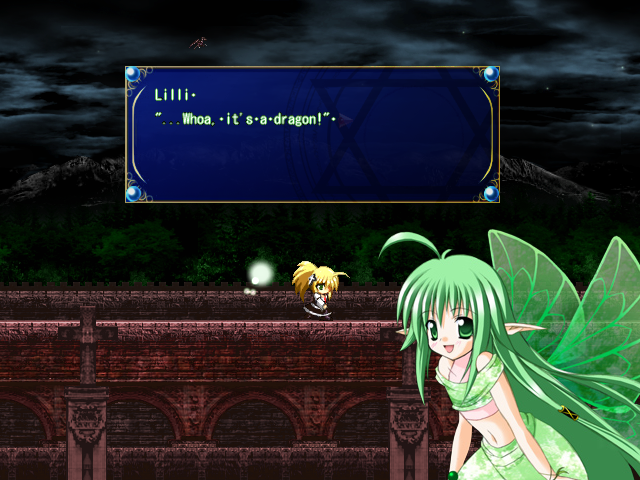 The game expects the individual sprites on each sheet to be in a certain spot on the sheet. you must be very precise when pasting over the new graphics..
Fourthly: Don't use pure black in the character graphics. The game removes all black, even inside a character that has no contiguous black pixels touching any of the sheet's black background. You can however use an slightly off black. What can we hack next? It's in the file marked "scenario." It's a text document called "talk." You can edit it with Notepad. There is a bit of complexity to get those two lines of dialogue to show up properly. I some how managed to get it right on my first try, (No kidding,) and I have no clue how to explain it. there won't be any spaces. I thought to myself: "Self, why is there a line with the background music there, and why the hell does the font keep changing size as I type this?" No way this is going to work. It must be there just for reference. I'm not telling. Try it yourself. But, remember, it must be in OGG format. 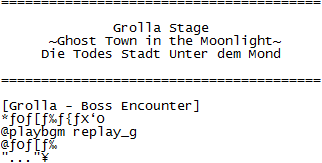 The Rosenkreuzstilette 106a English Patch Workaround. A fellow fan of this magnificent game is having a problem getting the English Patch to work with the latest version of the game. First thing I did was to replicate the problem. I got it to happen in three ways. I pointed the patch to a file that contained that zip file. The patch failed. 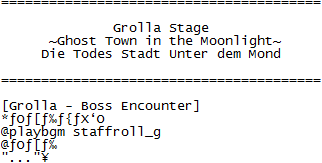 Then I tried changing the names of the main Rosenkreuzstilette folder. The patch worked every time. However I remembered noting to myself awhile ago that the "manual" and "omake" folders are deleted when the patch is installed. So I deleted them myself. The patch failed. (Ironic.) Now there was one more test, but I couldn't try it. Patching 106a. I don't have a copy. (Damn the irony.) But I did get one, without having to buy yet another copy of the game. I was trolling erka:es looking for a graphic reference when I saw patch downloads. So starts patching adventures. There's about a thousands variations of the game and a thousand patches for each. After an hour of trial and error, (mostly error) I finally succeeded in upgrading one of my many copies of 105c into 106a. And the English Patch failed. But, I had already tested a solution. (Which I have no doubt everybody else has already done.) I took the "scenario" file from the English Patched game and copied it to 106a. And It seems to be working. 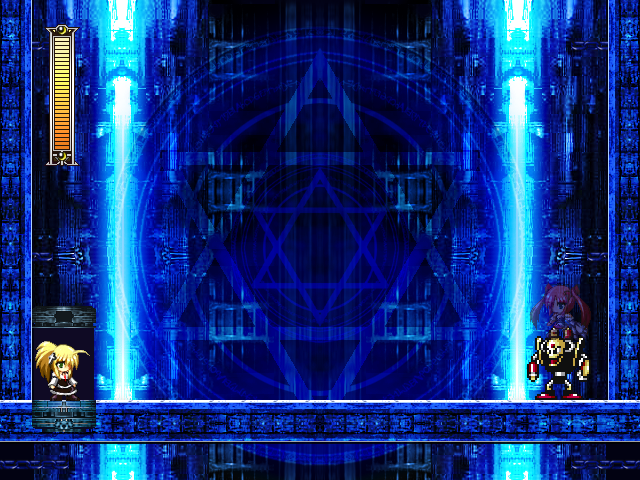 Now, I have only tested one stage, and went trough it pretty quickly, but I'm sure It works all the way through. For this video, I threw in a few extras. That graphic reference. I couldn't find it. 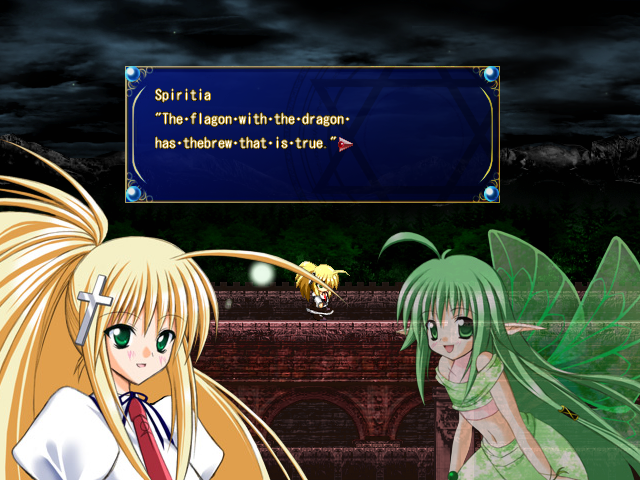 Let's just say that fairies are evil and if it weren't for their infinite capacity for stupidity, they'd rule the world.